You've heard the tales about fantastical leaders and their superhuman skills. Myths about these amazing "born leaders" are comfortable and reassuring. They absolve us of responsibility for results we don't want. But these myths are only real if you let them be. Some fearless individuals refuse to accept that as mere mortals--people who aren't "born" to the roles they're supposed to play--they should be comfortable with failure. These courageous individuals refuse to accept what others say they can and can't do, and should or shouldn't be able to do. Instead, they look within themselves, face their fears, and tackle challenges head on. They know that with determination, courage, and growth, they too can become like those mythical leaders. They are the Courageous Communicators. And you, too, can be one of them. 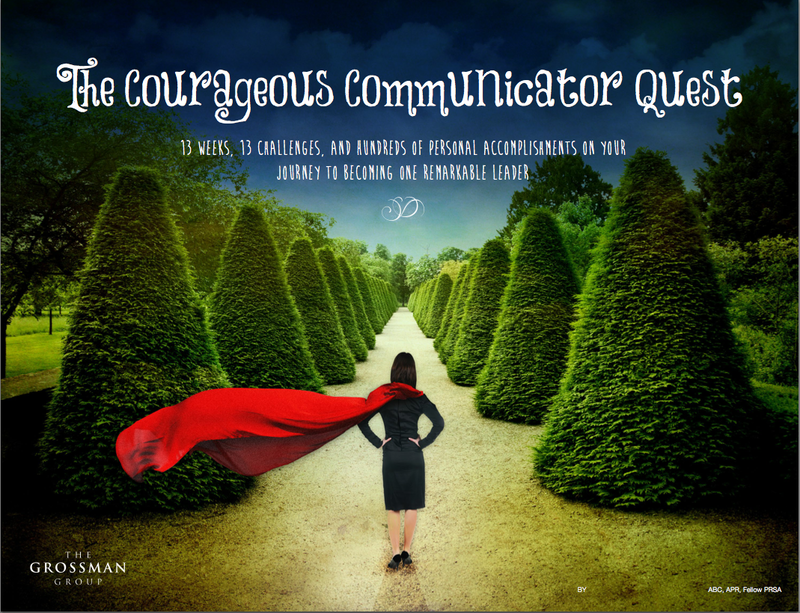 Download The Courageous Communicator Quest: 13 Weeks, 13 Challenges, and Hundreds of Personal Accomplishments on the Journey to Becoming One Remarkable Leader. Learn to lead like you were born to it. Start The Courageous Communicator Challenge today.